Do you remember being 12? I sure do. I seem to recall having a pretty good time at 12, and while there were things I was good at, I can’t say I would have trusted myself to drive a car for 8 feet when I was 12. 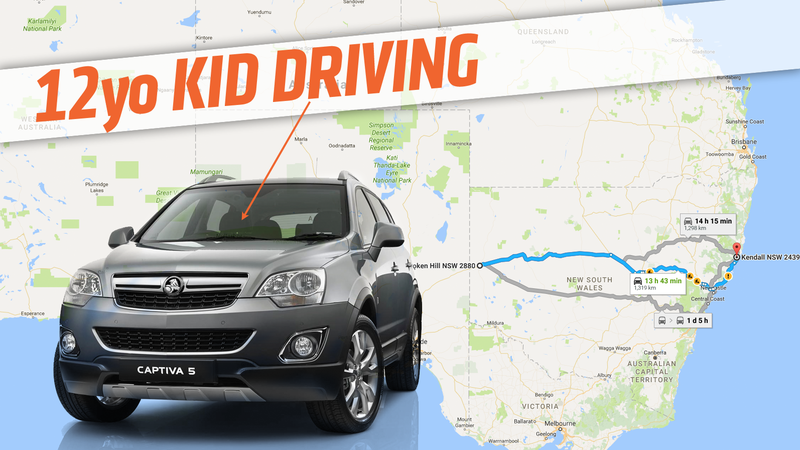 Just picture your 12-year-0ld self in your head while you take in this information: Police in a remote Australian mining town stopped a 12-year-old boy in an SUV and found he’d been driving for over 800 miles. Damn. The boy started from his home in Kendall, New South Wales, and was eventually pulled over by police by the mining town of Broken Hill, about a 14-hour drive away. 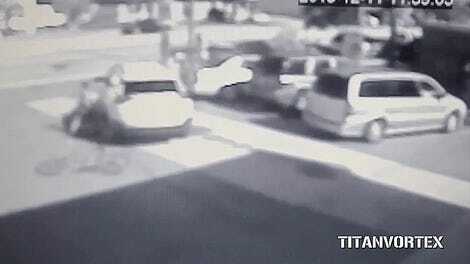 The boy was stopped because of some damage to his rear bumper, which was dragging on the ground. While the reasons the kid was taking the trip aren’t clear yet, it seems that his final destination was Perth, which is at the exact opposite end of the Australian continent, a solid 40 hour drive away. This trip, of course, brings up all kinds of questions: didn’t anyone think it was weird when a pre-teen kid pulled up to a gas station alone, filled up, and drove away? How did this kid manage to get so good at driving? Why the hell was he trying to get to Perth? What’s in Perth? Is everything okay at home? How grounded is he going to be? Will he be the coolest kid in school when he goes back? His parents reported him as missing pretty soon after he took the car and left, and he’s back home, safe, and, thankfully, he doesn’t seem to have hurt anyone else, minor bumper damage notwithstanding. As more information comes out as to why and how and all that, we’ll update.